If you are looking for a simple indicator of Forex trading sessions, you are on purpose. 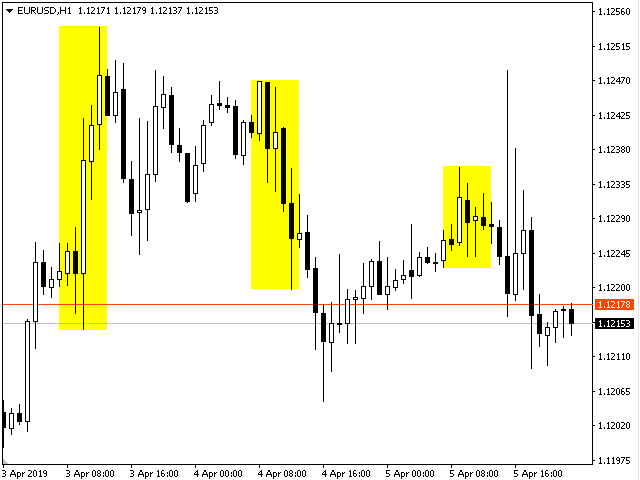 This indicator draws vertical bars that indicate the start and end time of the main trading sessions. For a trader, trading sessions indicate a clear time frame for increasing market volatility. The Sessions Trading Session Indicator is a tool that, beyond doubt, will be useful not only for beginner traders, but also for experienced traders.